This entry was posted in biomedicine and tagged heterogeneity, quantitative genetics on June 12, 2017 by Peter J. Taylor. Implausible, given decades of debate among methodologically sophisticated scholars, that some fundamental problems in quantitative genetic estimation have been overlooked? In recent publications (Taylor 2010, 2012) I show how the estimates made in human quantitative genetics are unreliable and typical interpretations, including interpretation of non-shared environmental influences, are unjustified. Some readers may deem it implausible, given decades of debate among methodologically sophisticated scholars, that some fundamental problems in quantitative genetic estimation have been overlooked (Kendler 2005). With a view to moving at least some skeptical readers to consider the full set of problems and conceptual themes I present, let me sketch the background that allows me to see the study of heredity and variation differently from most researchers and philosophers of science who have addressed quantitative genetics. My initial research work in the mid-1970s involved the statistical analysis of large plant breeding trials, in which many cultivated varieties would be tested in each of many locations around the world. A first step in the analysis was to partition the variation in a given trait, say, yield of wheat plants, into components related to the averages or means of the varieties (across all locations), the means of the locations (across all varieties), and so on. (Indeed, agricultural breeding was where partitioning of variation and measuring heritability originated.) The challenge for the plant breeders with whom I worked was to go beyond the partitioning and hypothesize what it was about any variety that led to its pattern of response across locations and what it was about any location that led to the varieties’ responses in that location compared to others. Knowing what aspects of, say, the pedigree of the variety or of the environment conditions in the location could inform subsequent breeding or cultivation decisions. Yet, hypothesis generation was not easy even though we had large and complete data sets to work from. A lesson from that experience was that the limits to hypothesizing about genetic and environmental factors must be even greater when researchers partition variation for human traits. In human studies any genetically-defined type is, at best, replicated twice—as identical twins—and different genetic types cannot be systematically raised across the same range of “locations”—families, socio-economic conditions, and so on. Fast forward to a decade ago: I was learning about three disparate areas of quantitative research that attempt to make sense of the complexity of biological and social factors that build on each other in the development of the given trait over the life course (Taylor 2004). I was impressed by what had been accomplished, but had some reservations about the models used in one of the areas, namely, Dickens and Flynn’s (2001) attempt to resolve the IQ paradox, in which researchers find large generation-to-generation advances in IQ test scores even though the trait is held to have high heritability. I explained my reservations to Dickens, digested his responses, and explained my reservations about his subsequent responses. In the course of this I found myself digger deeper into the conceptual foundations of heritability estimation and partitioning of variation. In order to present a picture that differed from what Dickens, Flynn, and others accepted without second thought, I was explicating first principles, not disputing specialized models or mathematics. Making extensive use of perspectives and examples from the earlier plant breeding research, my exposition took a pedagogical style (Taylor 2006, 2007, 2010). Meanwhile, my investigation continued of the other two areas—life events and difficulties research (Brown and Harris 1989) and developmental origins of chronic diseases (Barker 1998). Barker’s work led me to life-course epidemiology (Kuh and Ben-Shlomo 2004), so I spent time with Ben-Shlomo and the active social epidemiology research group at Bristol University. Davey Smith is a leading figure in that group and co-edits the International Journal of Epidemiology based at Bristol. While visiting in 2007 I gave a talk on “new and old debates about genes and environment,” which touched on some of the questions about heterogeneity raised in this article. Davey Smith’s spoken response was along the lines of his subsequent “gloomy prospect” article: epidemiologists have to accept considerable randomness at the individual level and keep the focus on modifiable causes of disease at the population level. In his ensuing article, Davey Smith (2011) links this perspective to claims from quantitative genetics, thus providing me an opportunity to address social epidemiologists and human quantitative geneticists at the same time as I respond to his account. In an as-yet-unpublished article bringing my interest in heterogeneity to the attention of those audiences, I extend the pedagogical style and first-principles emphasis of the other recent work and thereby speaks to philosophers of science. My contribution to philosophy takes the form, however, of articulating conceptual themes, not dissecting specific cases on empirical, analytical, bioethical or policy grounds. The expository approach reflects the background reviewed here, with its roots in plant breeding trials, as well as the idea that contributing to the conceptual toolbox of readers will prepare them to make their own contributions to wider discussion of heredity, variation, and heterogeneity. Barker, D. J. P. (1998). Mothers, Babies, and Health in Later Life. Edinburgh: Churchill Livingstone. Brown, G. W., & Harris, T. O. (Eds.) (1989). Life Events and Illness. New York: Guilford Press. Davey Smith, G. (2011). Epidemiology, epigenetics and the ‘Gloomy Prospect’: embracing randomness in population health research and practice. International Journal of Epidemiology, 40, 537-562. Dickens, W. T., & Flynn, J. R. (2001). Heritability estimates versus large environmental effects: The IQ paradox resolved. Psychological review, 108, 346-369. Kendler, K. S. (2005). Reply to J. Joseph, Research Paradigms of Psychiatric Genetics. American Journal of Psychiatry, 162, 1985-1986. Kuh, D., & Ben-Shlomo, Y. (Eds.) (2004). A Life Course Approach to Chronic Disease Epidemiology. Oxford: Oxford University Press. Taylor, P. J. (2004). What can we do? — Moving debates over genetic determinism in new directions. Science as Culture, 13, 331-355. Taylor, P. J. (2006). Heritability and heterogeneity: On the limited relevance of heritability in investigating genetic and environmental factors. Biological Theory: Integrating Development, Evolution and Cognition, 1, 150-164. Taylor, P. J. (2007). The Unreliability of High Human Heritability Estimates and Small Shared Effects of Growing Up in the Same Family Biological Theory: Integrating Development, Evolution and Cognition, 2, 387-397. Taylor, P. J. (2010). 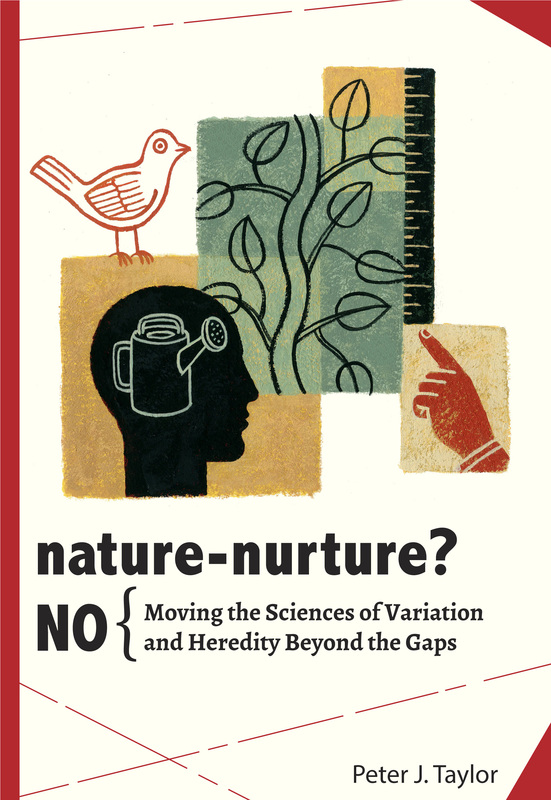 Three puzzles and eight gaps: What heritability studies and critical commentaries have not paid enough attention to. Biology & Philosophy, 25, 1-31. Taylor, P. J. (2012). A gene-free formulation of classical quantitative genetics used to examine results and interpretations under three standard assumptions. Acta Biotheoretica, 60, 357-378. This entry was posted in biomedicine, Sci&TechStudies(STS) and tagged agricultural_research, Davey Smith, Dickens, Flynn, heritability, IQ paradox, plant breeding, quantitative genetics on January 23, 2014 by Peter J. Taylor.